"In our tests, [no other products] could match the wicked consistency of the AL9000. Most reliable of the bunch. Audible click tells you when to stop blowing. Small and light. Quick startup." 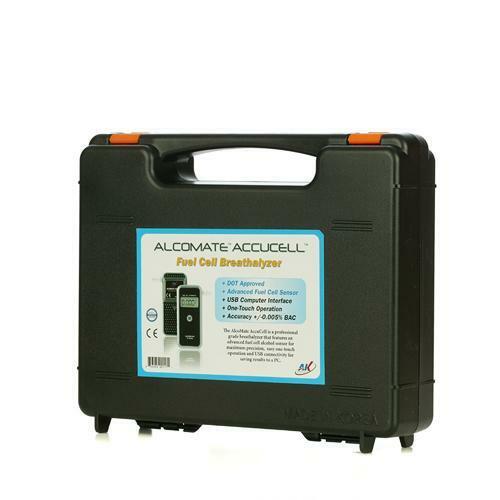 AlcoMate AccuCell AL9000 Fuel Cell Breathalyzer utilizes a revolutionary advanced fuel-cell alcohol sensor to empower you with the maximum accuracy and precision. This unit is also extremely durable and can handle rigorous repeated testing in high volume testing scenarios. The AlcoMate AL9000 with fuel-cell sensor prevents practically any false positive results. Featuring enhanced sensor linearity compared to nonlinear semiconductor sensors, this breathalyzer represents the future of breathalyzers. The AlcoMate AL9000 allows you to perform consecutive tests over its full range of 0 to .400 % BAC. The AlcoMate AL9000 large back lit LCD displays very legible results at night or in a low light conditions. 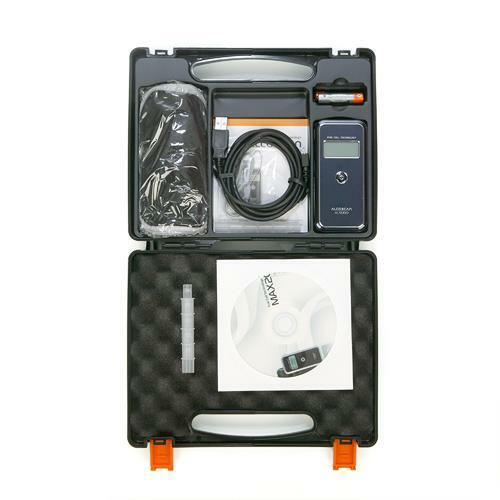 The AlcoMate AL9000 is the perfect alcohol breath testing solution for law enforcement officers at roadside screenings; correctional facilities, probation, substance abuse clinics, mental health services, maritime, military, schools and many other areas of professional testing which demand extreme accuracy and reliability. 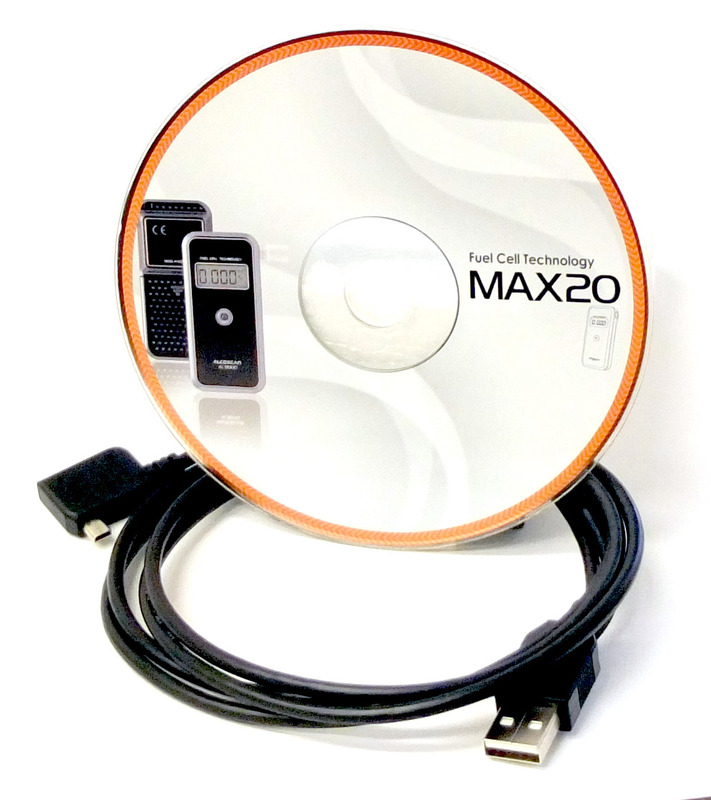 The optional USB PC-Connect Kitcable allows for easy storing of all of your test results onto the personal computer of your choice (Windows only). Results are then able to be conveniently exported to an Excel formatted spreadsheet for simple record keeping and documentation. Instead of printing with an expensive thermal printer, print from any printer connected to a Windows computer. The AlcoMate AccuCell AL9000 also features extended mouthpieces. These individually wrapped mouthpieces are perfect for clinical applications and are in complete compliance to the rules and regulations outlined by the CDC & FDA rules and regulations where disease control is absolutely essential. The extended design prevents contagions from spreading since subjects never directly touch the main body of the unit. Who uses the AlcoMate AccuCell AL9000? 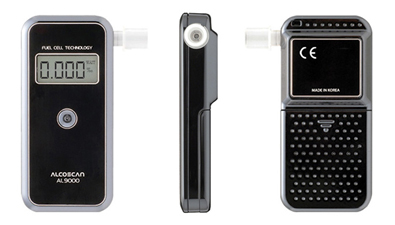 The AccuCell AL9000 is commonly used by all types of professionals whom intend to screen for alcohol intoxication. 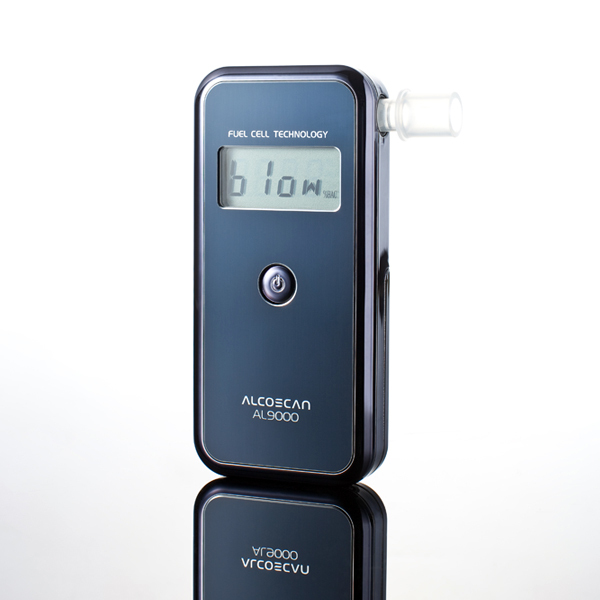 The AlcoMate AccuCell is used by police and law enforcement officers, hospitals, alcohol abuse centers, and also government institutions such as schools to reliably test if alcohol is present in the breath. The AL9000's advanced fuel sensor cell for enables you to conduct high volume testing in a very short period of time. 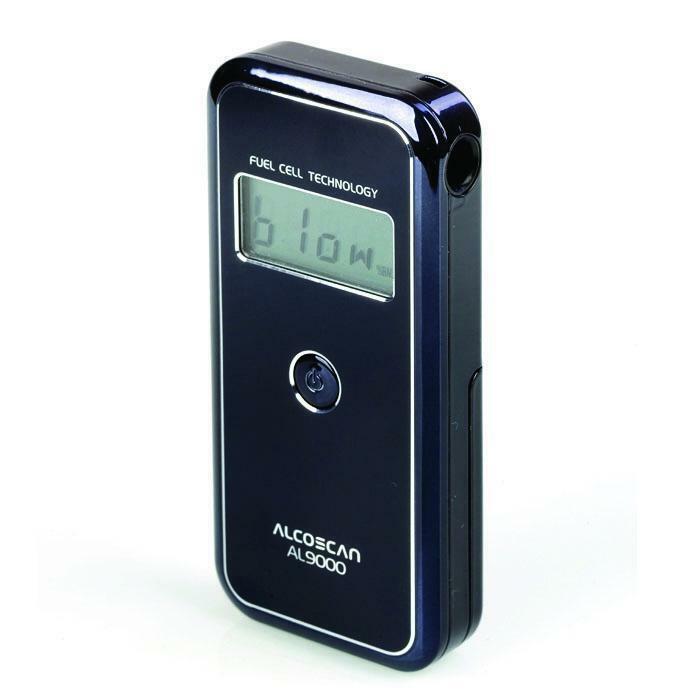 Those looking for a professional grade breathalyzer for their own personal uses will find the AL9000 a great option due to its healthy mix of accuracy, reliability and affordability. How many tests can be performed with the AlcoMate AccuCell AL9000 before the unit requires calibration? Under ideal testing conditions, the AlcoMate AccuCell will perform about 1000 tests before calibration is needed. Repeated and continuous testing with higher levels of alcohol may have the potential to wear out the sensor in a shorter period of time. The AL9000's self diagnosing system checks sensor health so you never need wonder if your device is losing accuracy. Our recommendation is to calibrate the AL9000 about once per year. Why don't my mouthpieces seem to fit in all the way? Is this the way it is supposed to be? To work correctly, the AlcoMate AccuCell AL9000 does not need the mouthpieces to be pushed in all the way. Not much force is needed when inserting the mouthpiece into the airway. Too much force on the mouthpiece can actually come into contact with the sensor and cause an Err2 error code. If you have experienced this Err2 code, please do not hesitate to call us at 818-701-9200 to discuss your options for repair. I am trying to use my device but it displays a 6 then a backwards 6 and a half e. What does this mean? The unit is trying to display the characters for "bat" which is the low battery indicator. Simply replace the batteries with a brand name battery and your device will once again be ready for many more breath alcohol tests. Great product. Easy to use and gives fast readings. A trustworthy product. Wish it was more affordable. Small and easy to carry anywhere and is worth buying because it can save the life of you or a loved one. Recently got an AlcoMate AccuCell breathalyzer by ASD. It is light, compact and easy to use and has the credentials to provide reliable results as it has the same fuel cell technology used by the authorities. Moreover it is affordable and promises a long service life. Very happy with my purchase decision. I have used the Breathalyzer Portable Breath Alcohol Tester many times to make sure I drive within the legal limits. Got the AL9000 and it read really high. .30 one time and another .35. I called support and they explained the device was reading in the wrong unit of measurement. Opened the back door and used a paper clip to press down on some pins. They showed me how to switch it over to BAC% which fixed the problem. Overall I'm happy with the breathalyzer. Our technicians never have any problems operating it and the turn around time for new tests is pretty quick compared to the older model we had. Excellent breathalyzer. Software was a little confusing, but the alcomate works really well and is easy to test. 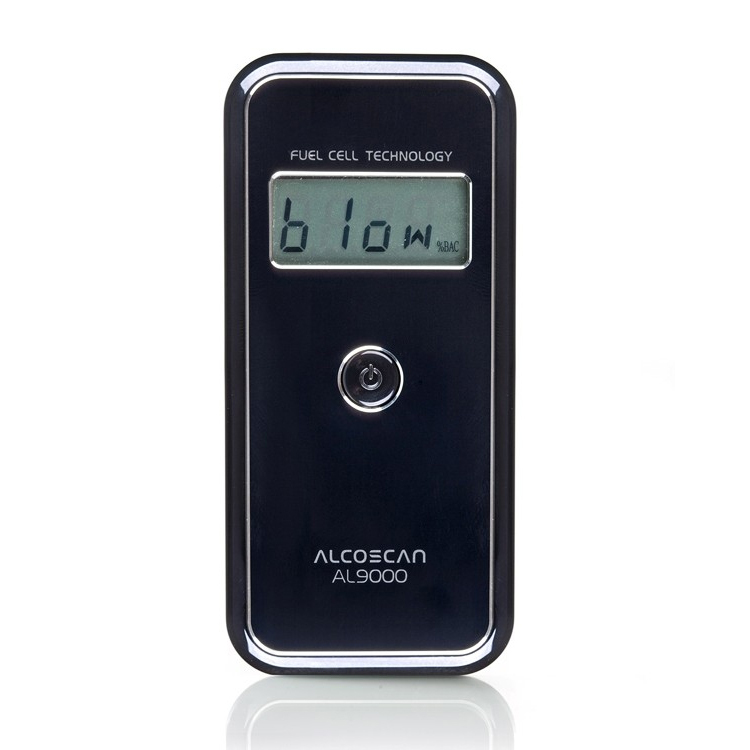 The AlcoMate AccuCell Fuel Cell like any other breathalyzer will experience a degradation of sensor accuracy over time. The AccuCell does NOT use replaceable sensor modules; it must be physically returned after roughly 1000 tests or at least once per year for calibration service (whichever comes first). For any questions, please contact us at 1-818-701-9200.